The XL6 received a very warm reponse at Milan’s Top-Audio show in September. This is the first of an exciting new breed of Ultimatum loudspeakers. 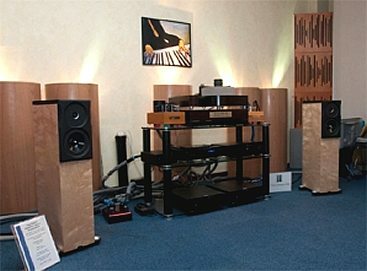 It incorporates some subtle yet highly effective innovations including a new implementation of the EMIT super tweeters, the sub-bass arrangement as used in the top-of-range MF9 model, a new soft dome tweeter and a revised plinth & spike arrangement. The Ultimatum XL6 is a domestically friendly 98cm tall, yet it is capable of of great power and delicacy when required. The first demonstration stocks wil be reaching dealers and distributors during October and November.